Mercy at SocratesPost: Can you tell me about your experience working in admissions? Linda at Concordia: Right after graduation, I was hired by the Illinois Student Assistance Commission and worked there for a year. That was such a nice starting point and it allowed me explore higher ed as a field. I was then hired by Concordia University Chicago, who at the time was looking for a bilingual rep to work/recruit in Chicago. As a bilingual, first gen, alumna, and product of Chicago Public Schools, I was so excited. I have been with CUC for about a year and a half now, and it has been challenging, fun, and rewarding. I have gained so many mentors, new friends, and new knowledge about the higher ed world. Mercy at SocratesPost: What types of applicants impress you the most that would surprise most people? Linda at Concordia: First generation students continuously surprise me. When I review their applications, have phone conversations with them, or see them on campus, I am constantly reminded that they have had to learn and manage all of this going to college process by themselves and they are thriving. Students with low test scores and awesome GPAs also always amaze me. Mercy at SocratesPost: What’s one memorable positive and one negative personal encounter you’ve had with an applicant? Why did those instances stand out? 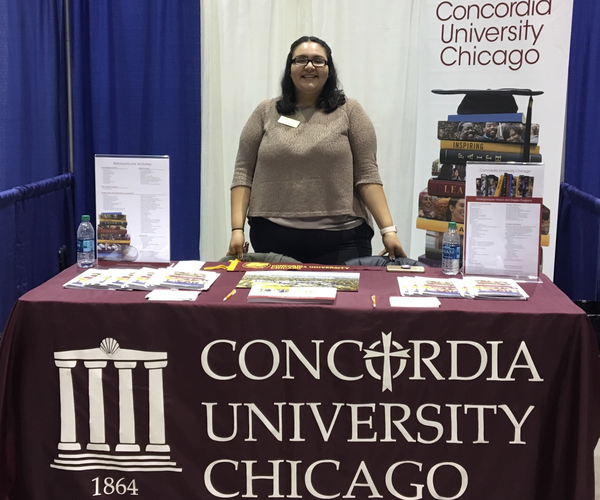 Linda at Concordia: My favorite moment of my first year here at CUC was only having one student in the pool for the full ride scholarship that CUC offers to five incoming freshmen. I got to know the student and his family so well and was really praying and rooting for him to be the recipient. When he was awarded the scholarship, sharing the news with him and the family was such a gratifying and rewarding moment for everyone involved. On the flip side, one of the hardest moments was when a student whom I, again, had worked with since the beginning decided to deposit and commit to CUC, but a week later beg and asked for his application to be withdrawn because of his doubts! I was shocked and saddened that this fear and doubts prevented him from giving CUC and college in general a try. Mercy at SocratesPost: Does CUC use a rating system to score applications and how does that work? Here’s a preview of the rest of our conversation! Subscribe to read the rest and support our ad-free newsletter. Mercy at SocratesPost: What do you wish applicants and their families knew about the CUC admissions process? Mercy at SocratesPost: Some admissions officers have strong feelings about how parents should be involved in the app process. What’s your take on that? Stay tuned for more of our interview with Linda next week! All the Ivy League schools have different Early Action policies. We researched each of the 8 Ivy League schools policies and talked to a few insiders there to confirm. 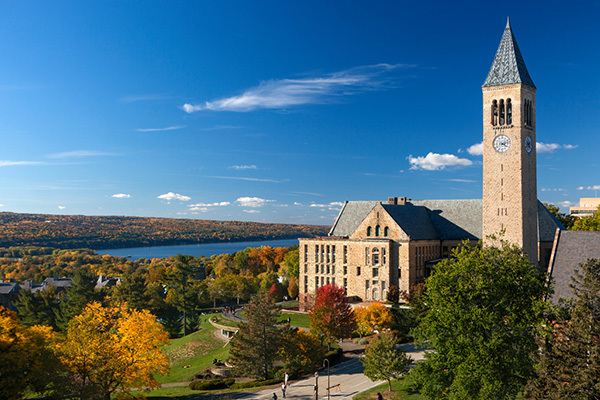 Cornell Early Decision (ED) – you must attend Cornell if accepted. You may simultaneously apply only to any non-binding school(s). Cornell is vague about their policies, so we contacted one of their admissions insiders this week. Continue to read what happened when we talked to Cornell and Penn admissions insiders. Subscribe to see our originally-created chart and infographic for an easy guide on Ivy League schools’ policies on simultaneous applications during the Early Decision round. This week, we brought you a close look of what’s happening on campus at 3 U.S. schools: UCLA, Yale, and Harvard. What’s the reason behind UCLA considering switching from a quarter to a semester academic system? Poll results: Do Yale students think less of their alma mater after the scandal? What is the Dean of Harvard Business School’s biggest challenge? Chancellor Gene Block believes this switch will reduce stress in students. On a quarter system, students have 10 weeks to complete the course, compared to about 16 on a semester system. Some students are opposed to the potential change, citing the quick pace as a major reason they don’t get bored of their classes. Others support a longer academic term, citing more time to absorb material as their main reason. There is no planned change at the time.